What you need to know about Healthy Parks Healthy People campaign in Ontario? What is ‘Healthy Parks Healthy People’ (‘HPHP’)? Started in 2000 by Australian park agency Parks Victoria, Healthy Parks Healthy People is a worldwide movement that works to promote and understand the link between a healthy environment and healthy society. Research shows that access to nature and green space plays a vital role in physical and mental health, well being and development. In 2010 Parks Victoria hosted the first International Healthy Parks Healthy People Congress, which brought together 1,200 participants from 37 nations to explore the many ways nature and parks significantly contribute to our health and well being. Ever since, the movement has gained global attention and has been adopted by various environmental and national parks organizations around the world including the US National Park Service and EUROPARC. 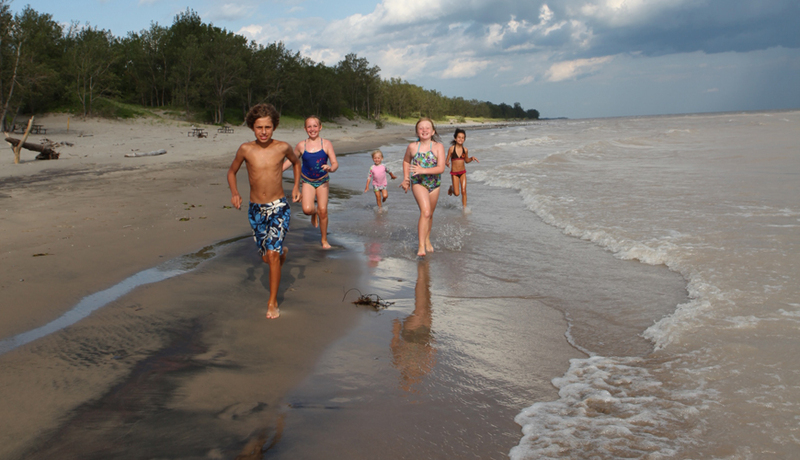 This year, Ontario Parks has joined the HPHP campaign in promoting the connection between nature and human well being. To start with, the organization is offering free day use for all the visitors to its 300+ provincial parks on 17th July 2015. This 60-90 minute guided hike leads you from the Lally Homestead into the main pit of the mine and the restored miner’s bunkhouse. Pre-registration is required by calling the park ahead of time. Join Certified Yoga Instructors Jennifer Tindale and Leslie Cunsolo of Wasaga Beach Yoga for FREE yoga on the beach! Choose from Yoga for Adults (9 AM and 4 PM) OR Yoga for Kids + Guardians (9 AM and 4 PM). No mats or experience required! Join the Centre for Applied Sciences in Ontario Protected Areas (CASIOPA) at the University of Waterloo for one of the first Canadian conferences about HPHP. The conference will be held at the University of Waterloo Federation Hall Conference Centre on 7th May 3:15 pm. Attendees will include everyone from professionals and students from private, government, NGO, and academic sectors interested in expert advice, participatory discussions, and submitting contributed presentations.